Old Town Alexandria is such a fun place to shoot an engagement session. From the scenic waterfront to the old stores and cobblestone streets it was definitely worth the drive to visit and shoot at! Would Meet up with a couple that are complete strangers and hit it off like old friends. And that is exactly what took place this past weekend. Saying we had a good time would be an understatement. We laughed and joked and they even put up with Luke’s sarcasm… Even matched it at times! And not only were they so much fun as we explored Old Town, but they were so easy to photograph. They are absolutely crazy about each other and more than that, Scott & Antonia are so comfortable with one another. I was shocked that they were only together for 2 years. Being around them you would think they have known each other their whole lives! I cannot say enough how excited we are for their wedding. I am sad though I have to wait a year for it to come around!!! But I know it will be worth the wait and this girl right here is going to be one GORGEOUS bride! Thank-You Scott & Antonia for such a wonderful afternoon! You two were so much fun to get to know and we cannot wait to see you again! Enjoy some of our favorites!!! And their true personalities shine right here! 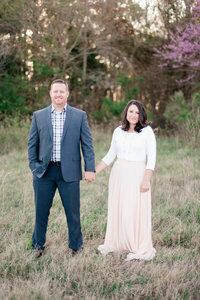 Ashley & Luke – We had a fabulous time with you both too! Such a comfortable, fun afternoon. Thank you so much for these wonderful photos. We couldn’t have asked for better photographers!! We can’t wait to see what you capture at our wedding!!! Awe you guys are so welcome!! We are so excited for you both and so excited for your wedding day!!! Their outfits are so classy! And that ring!!! I know Maria!! Her ring was GORGEOUS!!! Oh my goodness! Ashley the pics are beautiful! Even with the almost unbearable heat that day you were able to capture some amazing pictures. I can not wait to see your wedding day blog! This couple is going to be beautiful!! Thank-You Bonnie! They were pretty Amazing!